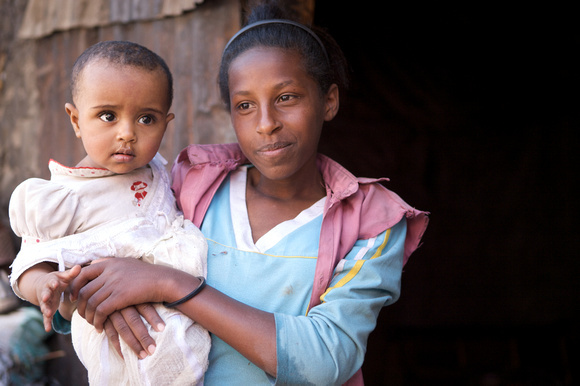 Ethiopia Healthcare Network’s mission is to provide healthcare in Ethiopia to women and children without access, in a manner that is both efficient and provides the greatest health benefit to the patient. Our focus is healthcare for women and children because they are most vulnerable and the binding force of the community. We do this in partnership with in-country resources, charitable organizations, national and local government, churches, mosques and businesses. Our main program is with LeAlem Higher Clinic in Addis Ababa, a highly-regarded private clinic headed by Dr. Alemayehu Dinku. 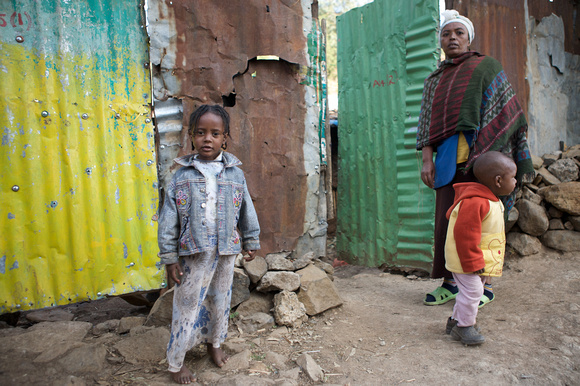 LeAlem, which means “for all” in Amharic, began charitable operation in October 2009. Since then, we have served more than 18,000 patients, 95% of whom subsist on less than $100 per year. EHN provides financial support for the healthcare provided to needy patients. We periodically conduct oversight through site visits and regular review of reports from our healthcare provider. In order to efficiently meet our goal, we promote network development by partnering with US organizations, NGOs and institutions with similar interests and complementary capabilities. Other Non-Governmental Organizations, including Organization for Social Services for AIDS (OSSA), have termed the EHN organizational model a vital “best practice.” Healthcare professionals in the United States deem the EHN model scalable and efficient, and are working to position the program for growth. During 2017, our goal is to expand our network with charitable healthcare providers in order to provide care for a greater number of beneficiaries, enhance information sharing, and refine service delivery. EHN is also collaborating with US academic institutions to educate graduate students, conduct clinical research, and develop support for pediatric dental care. Your tax-deductible donation and kind assistance is immensely appreciated. Donated funds are used to cure illnesses, reduce suffering and improve outcomes among the poorest of the world’s poor. Thank you.